Ozhotels provides business and leisure travellers with a directory of independently owned and non-related hotels and serviced apartments providing accommodation in Carlton, Melbourne. 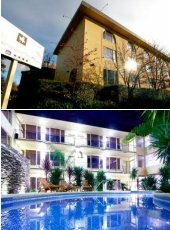 Oz hotels allows you to deal directly with the hotels and apartments in Carlton, hence giving you the best possible rates for this luxury and budget Carlton accommodation. Book your accommodation online directly with the hotels in Carlton, Melbourne and receive discount rates for longer stays !!! 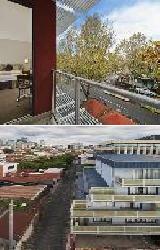 Carlton is an inner city suburb to the immediate north of the city centre of Melbourne, Victoria. Ideally positioned just 3kms from the CBD, Carlton is the perfect accommodation choice for both business and holiday travellers. Carlton is well known for its 'Little Italy' precinct on Lygon Street, which is popular amoungst locals and foreigners for its numerous Italian restaurants, specialist gelaterias and several continental cake cafes. Carlton abounds in Victorian architecture, European style squares including the University Square, Lincoln Square, Argyle Place & MacArthur Place and the beautiful Carlton Gardens. 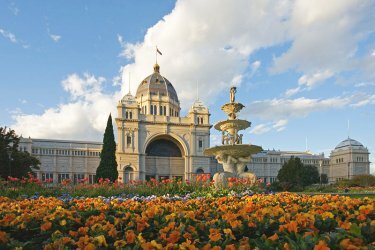 The Carlton Gardens is the location of the World Heritage Listed Royal Exhibition Building and is home to the Melbourne International Flower & Garden Show which is held around April every year. There are a number of Universities in Carlton including the University of Melbourne and RMIT University. There is also a number of hospitals in or next to Carlton including the Royal Women's Hospital, Royal Children's Hospital, St Vincent's Hospital and the Victorian Eye & Ear Hospital. The fully refurbished Best Western Travel Inn Hotel offers modern and stylish hotel accommodation centrally located only minutes away from the Melbourne city centre and Lygon Street which is the heart of cosmopolitan Carlton. Guests staying at the Best Western Travel Inn will be close to some of Melbourne's best parklands, the Royal Women's Hospital, Melbourne University, Melbourne Muesum, IMAX Theatre and Royal Exhibition Building. This quality Carlton accommodation is ideally positioned in a quiet tree lined street and offers guests the use of their restaurant, cocktail bar, secure undercover car parking, complimentary in-house movies and a FREE morning tour of Melbourne with AAT Kings. 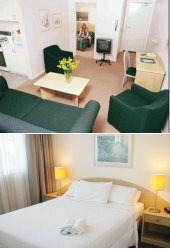 The Drummond Serviced Apartments in Carlton provides both business and leisure travelers with quality 3.5 star studio and 1 bedroom apartment accommodation in Carlton at very affordable prices. Ideally located on quiet and leafy Drummond Street this discount Carlton accommodation is very close to the famous and cosmopolitan "Lygon Street - the Italian Heart of Melbourne" which is world renowned for its culinary delights and many international restaurants and cafes. The spacious Drummond Serviced Apartments are light & airy and feature full kitchen facilities, Queen size beds, TV with DVD player, cordless phone and individually controlled heating & air-conditioning. Apartment accommodation in Carlton that really does feel like home. The 1 & 2 self contained serviced apartments at the Quest Clocktower on Lygon provide all sorts of travellers with Carlton accommodation right in the heart of bustling Lygon Street. It is surrounded by an eclectic mix of restaurants, cafes and cake shops, making the Quest Clocktower on Lygon Serviced Apartments a great place to stay. 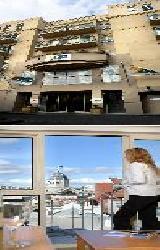 The Quest Clocktower on Lygon Street provides all types of travellers with discount accommodation in Carlton. It also features a wide range of modern amenities and services such as direct internet access, faxing facilities, guest laundry, lift, secretarial services, tour desk, baby cots available, babysitting service, safety deposit boxes, luggage storage, room service, complimentary access to off-site gymnasium, 30 metre swimming pool and sauna, dry cleaning service and daily housekeeping. The Quest Clocktower on Lygon Melbourne Serviced Apartments offer a range of guest facilities and services to make leisure and corporate business travellers fell right at home. The self contained studio apartments provided by the Carlton Lygon Lodge are ideally positioned at the city end of Lygon Street, close to the Melbourne CBD. With affordable tarrifs and a friendly intimate atmosphere, The Comfort Inn Lygon Lodge Studio Apartments is the perfect base to enjoy all that Lygon Street in Carlton has to offer. 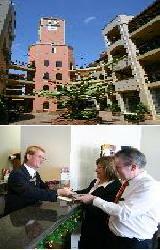 The Comfort Inn Lygon Lodge Studio Apartment provides all types of travellers with discount accommodation in Carlton. It also features a wide range of modern amenities and services such as direct internet access, faxing facilities, free car parking, guest laundry, lift, tour desk, 24 hour reception, baby cots available and daily housekeeping. Quest Carlton on Finlay provides modern studio, 1 & 2 bedroom self contained apartments that have been specifically designed for business and leisure travellers. The Quest Carlton on Finlay Apartments are conveniently located in the heart of Lygon St, which is surrounded by cosmopolitan restaurants, bars and cafes. The Quest Carlton on Finlay is close to everything that the city has to offer, as well as having a numerous guests facilities and services including business centre, direct internet access, faxing facilities, guest laundry, lift, room service, secretarial services, baby cots, babysitting service and daily housekeeping. Also the Quest Carlton on Finlay is just a short walk from Melbourne Museum, Imax, Royal Exhibition Buildings, RMIT and the University of Melbourne. The Plum Carlton Serviced Apartments provides exceptional discount rates for both short and long term stays in Melbourne which makes it the perfect Carlton accommodation for corporate business travellers and holiday makers alike. The Plum Carlton Apartments is situated just on the outskirts of Melbourne city centre and provides great value for money accommodation in Carlton. Just a short stroll away from the Plum Carlton Apartments is the famous Italian precinct of Lygon Street as well as other tourist attraction including the Queen Victorian Market, Lincoln Park and China Town. 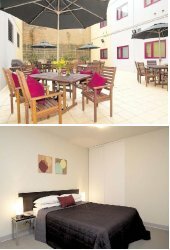 Lovers of fashion shopping and fine dining will really enjoy this 4 star home away from home Carlton accommodation.